Would Your Child Benefit from Auditory Intervention? Difficulty listening to a speaker in the presence of background sounds. Easily gets distracted in the classroom by sounds of fans, coughing, chairs being pushed, people moving, etc. Difficulty listening in crowded places or talking on the phone. Or, difficulty responding when being called or spoken to unless speaker is right in front. Distress, covering of ears and / or avoidance/fear of hand dryers, vacuum cleaners, fans, blenders, hair dryers, people clapping or singing, engines humming. Takes a long time to respond even when clearly hearing what was being said. Needs more time than others to think of a response. Difficulty following verbal directions and needing lots of repetition. Difficulty answering questions, especially those of abstract nature, and recalling sentences. Difficulty differentiating between different tones or sounds, especially when learning phonics. 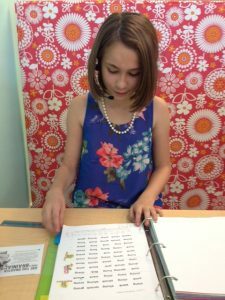 Among the many types of therapeutic activities for auditory training and auditory processing disorders, Sound Stimulation Therapy reigns supreme in coaching our students through auditory processing disorders. Sound therapy uses nature sounds and classical music to retrain the brain to process sounds. It is effective when used with students that find it difficult to follow oral instructions, have a short attention span, have poor short or long term memory, and an overall difficulty associating where sound is coming from. These struggles may sound common, but they have an unimaginably negative effect on a child’s learning when they are present. Schoolwork seems impossible, they need help with homework constantly, comprehension lacks, difficulty with phonics and speech appear and disruptive or apathetic behaviors develop. But– isn’t it hard to get the message when there’s a bad connection? 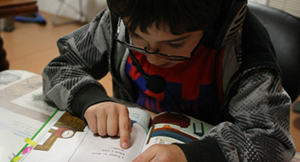 Auditory processing problems occur when the ear receives sounds, but it becomes distorted, confused or compromised before the brain can process the information as language. The focus of auditory stimulation and training is on re-educating the ear and auditory pathways. Sound stimulation therapy deals directly with the Central Auditory Nervous System, where language is processed. Because the ear is linked to the vestibular system, coordination, posture and sensory-motor integration are all negatively affected by a weak auditory system. These improve after only a short time on this music-based therapy. Sound therapy improves the listener’s overall communication, including better articulation, ability to follow directions and organization, increased interaction, attention and overall learning. This state-of-the-art music and sound stimulation promotes a general sense of well-being. The benefits are numerous and the therapy itself is enjoyable and easy. Best of all, healthy sounds make for a healthy, available learner. This goes beyond grades and classroom performance; it impacts the quality of your child’s ability to not only hear, but comprehend what’s occurring around them. We invite you to call our learning center in Chino Hills, The Brain Zone, and see how we can help your child with auditory processing.